Drainage engineers have carried out a comprehensive upgrade of surface water and foul drains at a Midland power station by using no-dig lining technology to renovate pipes. The Lanes Group plc teams installed 11 pipe liners and 40 local structural point repairs across the drainage system at Corby Power Station in Northamptonshire. The work was part of a planned preventative maintain programme required by the power station’s owner ESB, the state-owned electricity supply company in Ireland. Rob Heward, Mechanical Maintenance Coordinator at Corby Power Station, praised the Lanes team for their efficient approach to the project, and the quality of their work. He said: “The work was planned and carried out in a very professional manner. As an energy generator, health and safety is a priority for us, and the Lanes safety systems were exemplary. Corby Power Station is a 350-megawatt electricity combined-cycle power station, with two gas-fired turbines supported by two heat recovery steam generators. It supplies electricity to the National Grid. 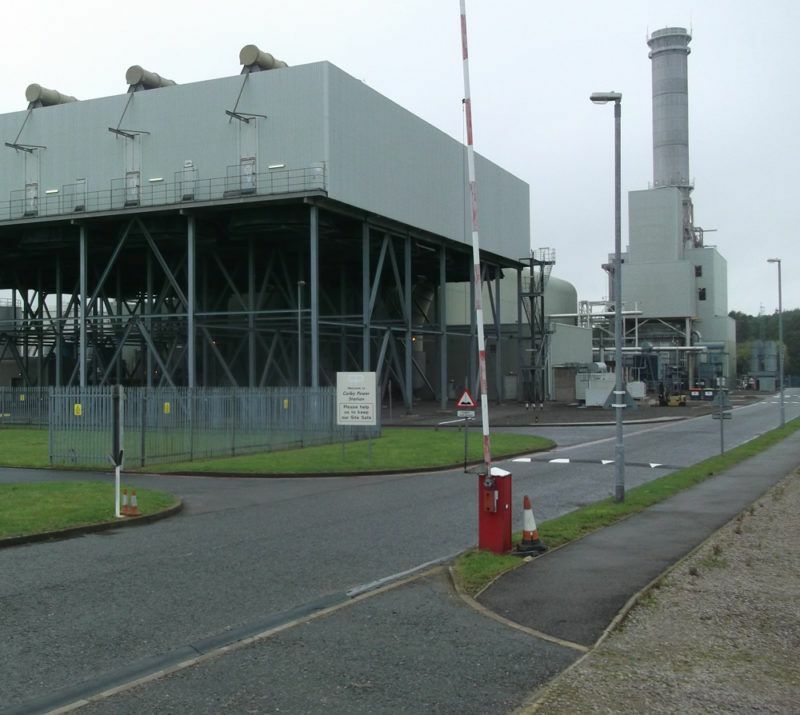 Lanes had carried out a full CCTV drainage survey of the two-acre site in May, delivering a comprehensive report that allowed the power station to plan remedial work. Teams from the Lanes depot in Derby and the Lanes Lining and Renovation Division, in Manchester, worked together to plan and implement the drainage repair programme. The drainage system was comprised mostly of clay pipes ranging from 150mm to 600mm in diameter. Damage included pipe cracking, partially collapses pipes, and joint displacements. Chris Batey, Regional Manager for Lanes Derby, said: “We created a spreadsheet of all the remedial work, along with locations, so we could schedule it in the most efficient way. Point lining, also known as patch lining, is an ambient cure in place pipe lining (CIPP) technique that involves installing a resin-impregnated glass-fibre liner inside a damaged section of pipe, where it is inflated and then hardens to create a new pipe-within-a-pipe. Lanes Lining and Renovation Division also installed liners where there were sections of pipe with more extensive damage, the longest of them 56 metres in length. Hot water CIPP was used to harden the liners. The lining teams also installed two 600mm-diameter point liners.